A Girvan woman has been sentenced to six months behind bars after being found guilty of running a fraudulent scheme. Margaret Vennard, 30, of 8 Kirkwood Place Girvan appeared at Ayr Sheriff Court from custody on Monday afternoon on a fraud charge after she was arrested by police in Girvan on Sunday night (December 6). Police were also looking to arrest her brother Billy Vennard, 28, of Roxburgh Road in the town for his alleged part in the scheme. Police have now applied for a warrant to arrest Mr Vennard which was duly given by the sheriff at court on Monday. 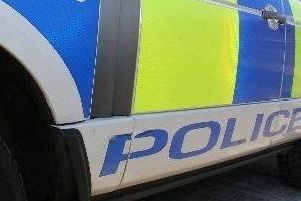 The pair were also in court last month after they were arrested for shoplifting from a Girvan store. Both were ordered to do 100 hours of community service after they pled guilty to stealing from The Original Factory Shop in Dalrymple Street on the afternoon of Friday November 20.